We defend the legal right of immigrant children to apply for protection. Free lawyers for immigrant children. It’s that simple. Safe Passage Project is a highly-focused nonprofit immigration legal services organization. We provide free lawyers to refugee and immigrant children in the NYC-area who face deportation back to life-threatening situations, despite their strong legal claim to stay in the US. These children embark on a long and dangerous journey to the United States seeking safety from the gang violence, parental abuse and neglect, sexual assault, poverty, and trauma they knew at home. In 2017, the federal government reported nearly 40,000 children travelling alone seeking entry at the United States-Mexico border – a number that has held depressingly steady. The New York Immigration Court, one of the busiest immigration courts in the United States, has more than 15,000 juveniles on its docket. Immigrants are not entitled to court-appointed legal counsel. As a result, more than half of immigrant children must go through immigration proceedings without the aid of a lawyer. Unable to effectively argue their claim for the legal protections they may qualify for, more than 80% of these children are issued deportation orders. To many, this means returning to the danger from which they fled. We are now representing children in more than 800 cases. Throughout the immigration process, the Safe Passage Project social work team works with our clients to provide healthcare, educational, and other referral services necessary for the child’s well-being, and to support the legal case. We have also pioneered a mentoring program that provides a network of support for our clients, Amigos de Safe Passage, where we connect our clients with other children who have been through the same legal process for peer support and an opportunity to enrich the children’s social network in the United States. We are especially proud of our all-girls’ peer empowerment group called Las Mariposas ("The Butterflies"), where our female clients are offered a safe space to grow and flourish through sports, storytelling workshops, and more. 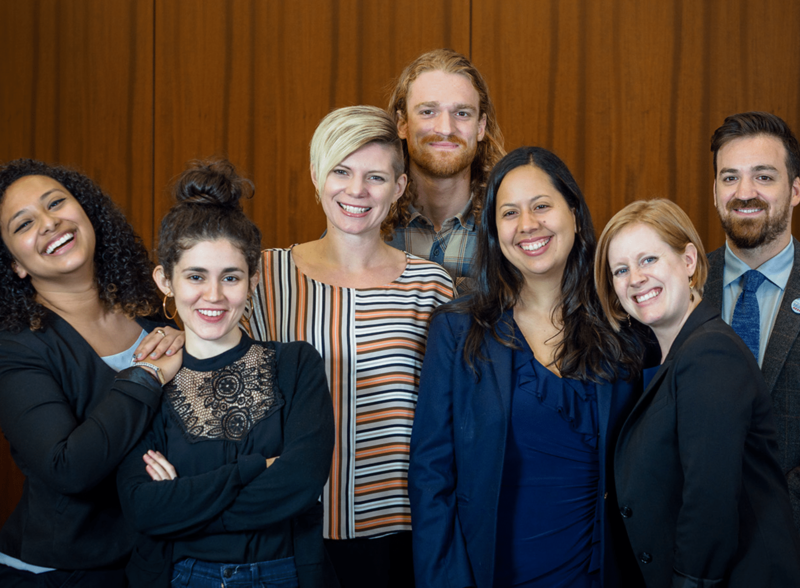 Last year, we trained over 1,700 individuals on effective representation of immigrant children, and provided close mentorship to an army of more than 400 pro bono attorneys. Meet the fearless staff tackling over 800 cases. From lawyers to social workers, the people of Safe Passage Project do it all.